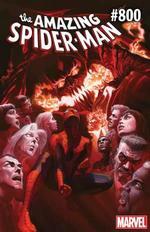 Dan Slott nears the end of his AMAZING run with a milestone issue on May 30. After 10 years, Dan Slott’s epic run on AMAZING SPIDER-MAN is nearing its end in a big way with the “Go Down Swinging” arc, and AMAZING SPIDER-MAN #800 will be an appropriately huge issue in more ways than one. Slott and artist Stuart Immonen will unveil what’s being touted as the biggest Peter Parker and Norman Osborn story of all time, joined by Humberto Ramos, Giuseppe Camuncoli and Jim Cheung. AMAZING #800 will mark the first Marvel comic to ever hit 800 issues, and will feature 80 pages of brand-new story from Slott, who has written more issues of AMAZING SPIDER-MAN than any creator. 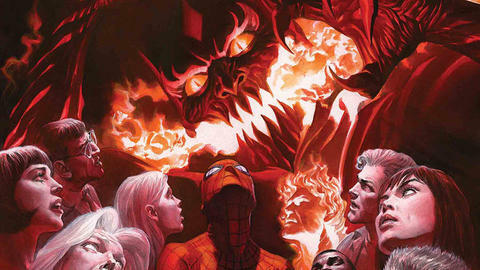 Slott’s time on AMAZING – before he moves over to IRON MAN – will wrap up in #801, but first “Go Down Swinging” is giving fans one of the most exciting stories in Spider-Man lore, culminating with Spider-Man facing his most evil villain yet.